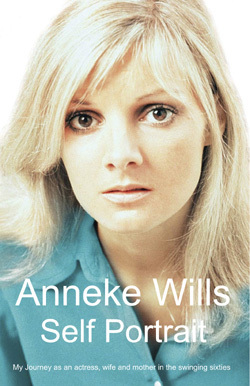 Note: First of two volumes comprising Anneke Wills' autobiography (the second volume, Naked, was published 18 months later). Anneke is of course best known for playing Polly, companion to the First and Second Doctors between 1966-1967. This volume covers her childhood, early acting career and comprehensive coverage of her time on Doctor Who, featuring many previously-unpublished photos. Also available as an abridged audio reading. This is a moving, witty and candid account of a fascinating life among the talents who defined the swinging sixties. Appearing in ground-breaking television from an early age, Anneke Wills was one of the busiest actresses of the 1960s — her role as Polly establishing a template for one of television's most iconic and prized positions — the glamorous Doctor Who girl. This is a beautifully written story of a unique childhood, life at the heart of swinging sixties London, and a turbulent marriage to a leading actor — the story of a rich, colourful and sometimes tragic life, and the growth of a truly remarkable woman. Illustrated with over 100 previously unseen photographs and Anneke's personal drawings and paintings. Self Portrait is the first volume of a two-part autobiography.